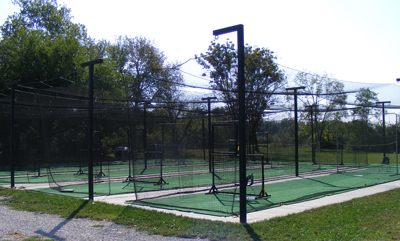 We are very excited about our new hitting complex. There are 5 70'x14'x14' batting tunnels. The floor is concreted with an astroturf overlay. We also have the capability of dividing the 5 cages into 10 smaller cages. 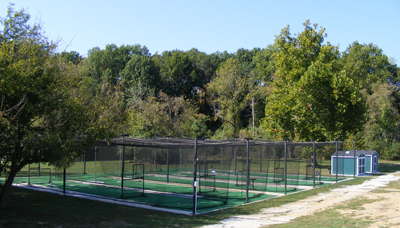 The cages are designed and installed by AALCO.